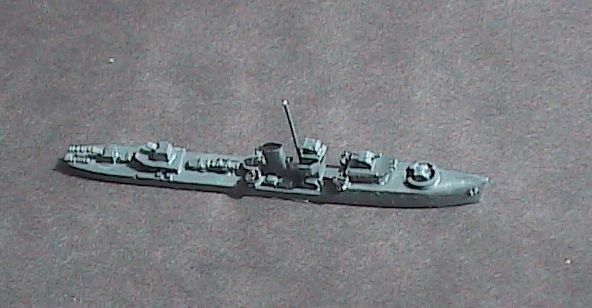 The Shangri-La Ironworks is a line of resin 1/1200 scale naval miniatures. In the months to come, you will find a selection of unique and for the most part overlooked vessels from the 1914-1945 era. 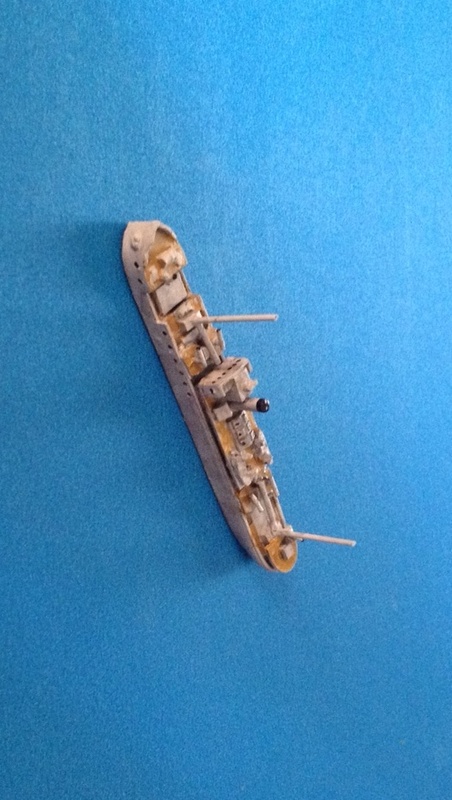 Kits are cast in white resin with main turrets, cranes and some superstructure parts cast separately. 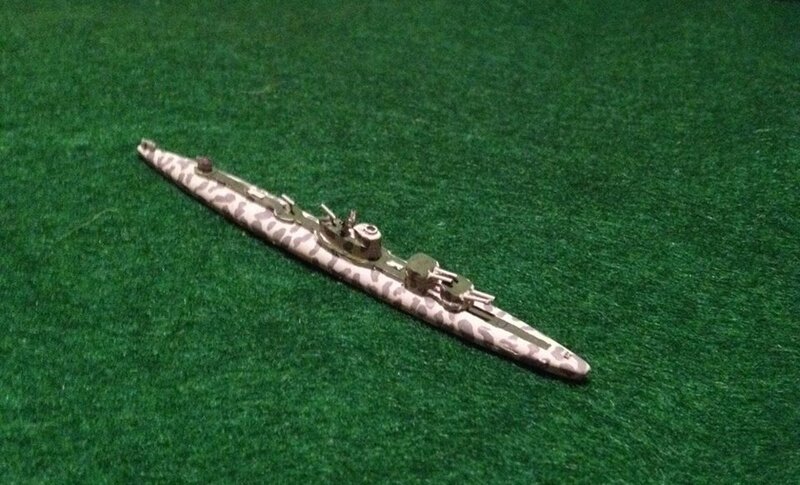 NOTE: THISE SHIPS ARE NOW AVAILABLE AS “COMPLETE”, FULLY ASSEMBLED AND PAINTED BASIC GREY WITH DETAILS (FUNNEL CAPS, ETC.) PAINTED APPROPRIATELY. 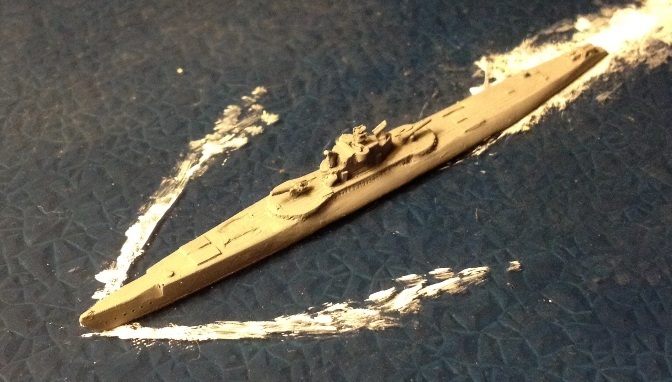 The USS Minnesota is a Fast BB proposed in 1934 with 9-14″ rifles in three triple turrets and 12-5″ guns in twin turrets. She was designed for 30kts at 35000 tons with excellent protection comparable to the later fast BBs (13″ belt, 4.5″-5″ on the decks). A sketch can be found in Norman Friedman’s book “US Battleships : An Illustrated Design History” on page 234. 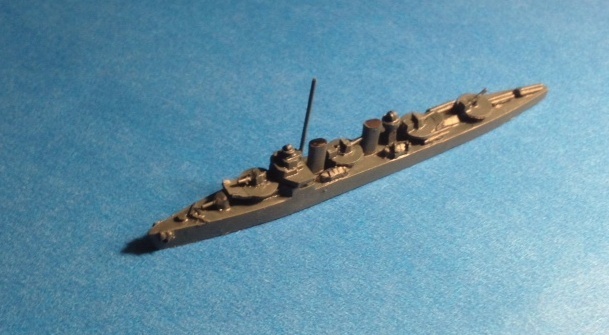 This is a “what if” build of the proposed update to the 10″ gunned armored cruiser. 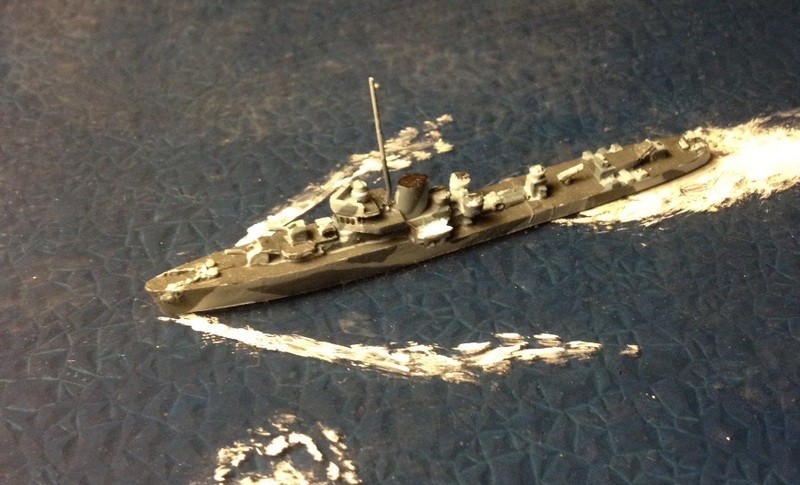 In the 1920′s it was proposed to install oil burning boilers (new speed 26-28kts) and reconfigure the armament. 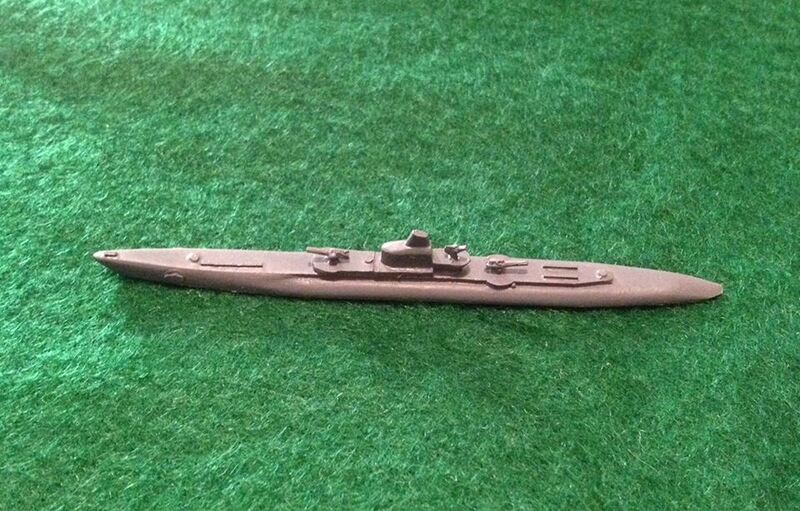 This model takes it one step further with the remaining casemate 6″ guns replaced by twin 6″ turrets. Friedman’s Destroyer Design history discusses this concept briefly but no drawing has emerged. 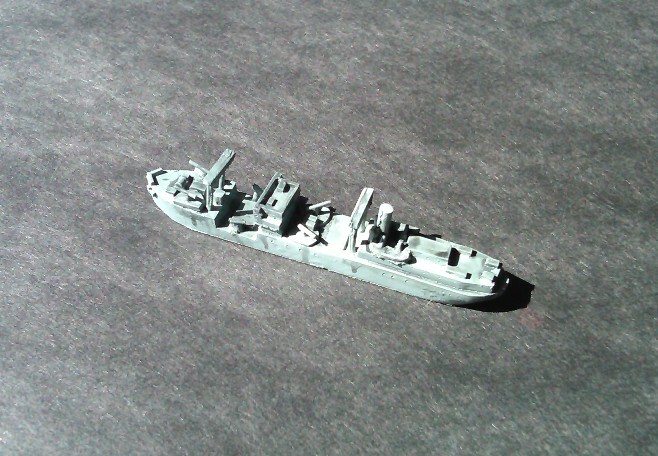 This is my take on US 1928 Destroyer leader design, Scheme 7. She is 2900 tons, four-6″, four 5″/25 and 12 TT and over 400′ long. At 36kts, she would have been a close competitor of the Le Fantasque class and the Yubari. From the old book “American Destroyers and Destroyer Escorts” Vol. Wonderful work!! 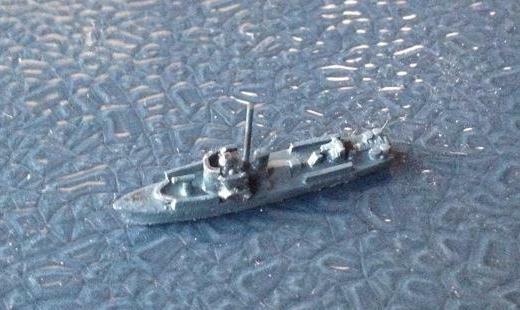 I am searching for model of the US Auk-class minesweeper, in any small scale. Do you have any suggestions? I have that one planned in 1/600 scale within the next year or less. Stay tuned! Is there a possibility of getting a WW2 version of the SL-28 (US 110′ Subchaser (1918) WW1 version with 3″/23) as they were configured in 1942 with a 40mm Bofors replacing the 3″ gun forward and 3 20mm guns aft in 1/1200? I have been thinking of this one along with a number of small YP patrol types. Let me check the master.